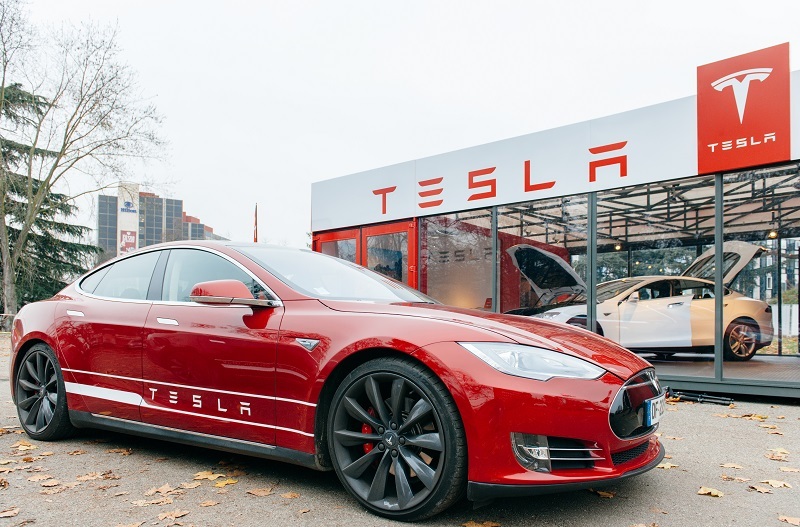 Tesla Motors, Estee Lauder & Urban Outfitters Stock: Is It a Good Time to Start Investing? Stock for Tesla Motors, Estee Lauder Companies Inc. and Urban Outfitters Inc. is on the move this morning. The big-name brands have shown marked performance or else are slated for steady growth. See why stocks in these three companies is ripe for buyers. Tesla stock could be a strong long-term pick. After a $500 million stock offering on Thursday jumped to $642.50 million the following day, investors are optimistic about the automaker’s future. The company’s shares reached $243.15 by the end of the day Friday and rose approximately 5 percent in premarket trading on Monday. The latest surge comes after Morgan Stanley increased its price target for shares from $280 to $465 — a 66 percent increase — as analysts believe the automaker has the potential to dominate the self-driving car market. When trading closes on Monday, Urban Outfitters Inc. is expected to report a second quarter profit of 49 cents per share on revenue of $881.16 million. Comparably, during the same time in 2014, the company reported a profit of 51 cents per share on revenue of $758.50 million. The parent company of Anthropologie, Free People, BHLDN, Terrain and of course Urban Outfitters, explained that its lack of comparable growth was due to the opening of a fulfillment center and discounting merchandise. Despite stagnant growth year to year, the company’s profit margins have been steadily improving over the past few years. Urban Outfitters’ leaders expect $6 billion in revenue by 2020, representing 10.4 percent compound annual growth. Analysts from TheStreet Ratings team ranked the stock as a buy, noting the company’s strengths outweigh its subpar stock performance. On Monday, Estee Lauder Companies Inc. — which include big name cosmetic brands like Bobbi Brown, Clinique and MAC — reported higher-than-expected second quarter profits of $153 million, or 40 cents per share. Analysts at Thomson Reuters had expected the company to report earnings of 34 cents per share on sales of $2.57 billion. Total sales dropped 7.4 percent to $2.52 billion, but would have actually been up 7 percent if it wasn’t for currency impacts and the impact of accelerated retailer orders in the prior-year period. For its third quarter, Estee Lauder has forecast sales growth of 13 percent to 14 percent, with a 3 percent to 6 percent decrease in adjusted earnings per share. In total, analysts expect a 38 percent increase in adjusted earnings per share. Overall, the company has shown strong revenue growth, sound debt measures, impressive return on equity, reliable stock price performance and a rise in net income, notes The Street. With its surprising mega-purchase of Whole Foods, Amazon wraps its tentacles around US grocery. American Eagle Outfitters (AEO) Vs. Abercrombie & Fitch (ANF): Are the Teen Retailers Dead? GOBankingRates > Investing > Stocks > Tesla Motors, Estee Lauder & Urban Outfitters Stock: Is It a Good Time to Start Investing?